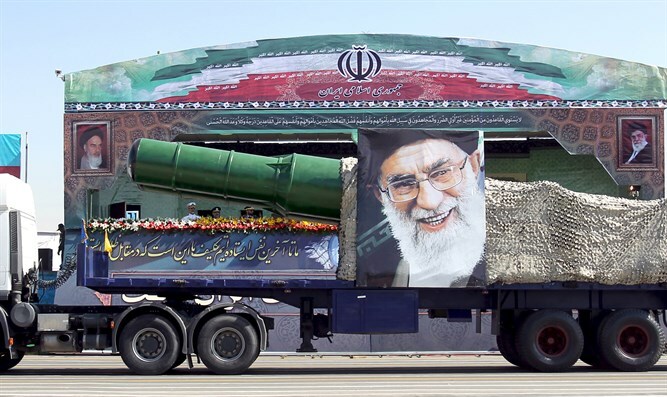 Iran's top leader warned today of the country's harsh response if attacked by enemies of Tehran, saying that the country's ballistic missile program was essential for defense purposes despite western demands to curb it, reported Reuters. "Tehran will attack 10 times more if attacked by enemies... The enemies don't want an independent Iran in the region... We will continue our support to oppressed nations... our enemies have staged economic and psychological warfare against us and new American sanctions are part of it," Iran's Supreme Leader Ayatollah Ali Khamenei said in a speech broadcast live on state TV. Israeli Defense Minister Avigdor Liberman recently said "Israel can not afford to ignore Iran's threats that its leaders promise to destroy Israel. "The threats from Tehran come week after week. They do not need excuses for that," Liberman added. Khameni has in the past referred to the Jewish state as a “cancer” and threatened to "annihilate" the cities of Tel Aviv and Haifa.